The latest update to Fornite, the Fortnite v8.30 update, was only recently released by Epic Games but the biggest talking point about the update did not relate to gameplay. Data-mining Fortnite has now become common practise to see what updates, gameplay and new cosmetic changes are to be added. While many cosmetics have been revealed by Data-miners in the last few months, no one saw the Birdie skin coming. 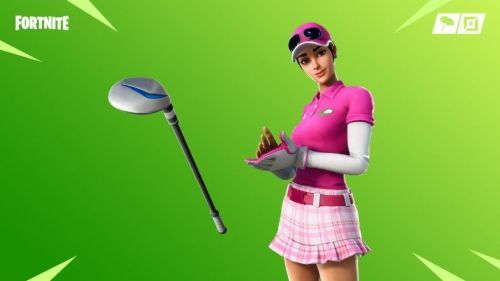 It was a pleasant surprise for fans to see the new Birdie skin in the Fortnite Item Shop. However, the Birdie skin has also caused a little controversy because of the pricing. When it was first released, the skin cost 1200 V-Bucks which was apparently an error on behalf of Epic Games because they soon changed the price, dropping it down to 800 V-Bucks which is 1/3rd less than the original price set for the skin. However, if you bought the Birdie skin for 1200 V-Bucks, then don't worry - Epic have already said that they will be refunding the 400 V-Bucks difference to players who bought the Birdie skin for 1200. "We've released an update to the store to resolve an issue with the Birdie Outfit being incorrectly priced at 1200 V-Bucks. The correct price is 800 V-Bucks. If you previously purchased the Birdie Outfit we'll be awarding players compensation for the difference soon." How To Get Birdie Skin in Fortnite? How do you get yourself the new Birdie skin? It's quite simple, actually. Just head over to the Fortnite Item Shop now and purchase the Birdie Skin for yourself for 800 V-Bucks. How to play Fortnite: 5 Basic tips to improve your gameplay from the get-go!